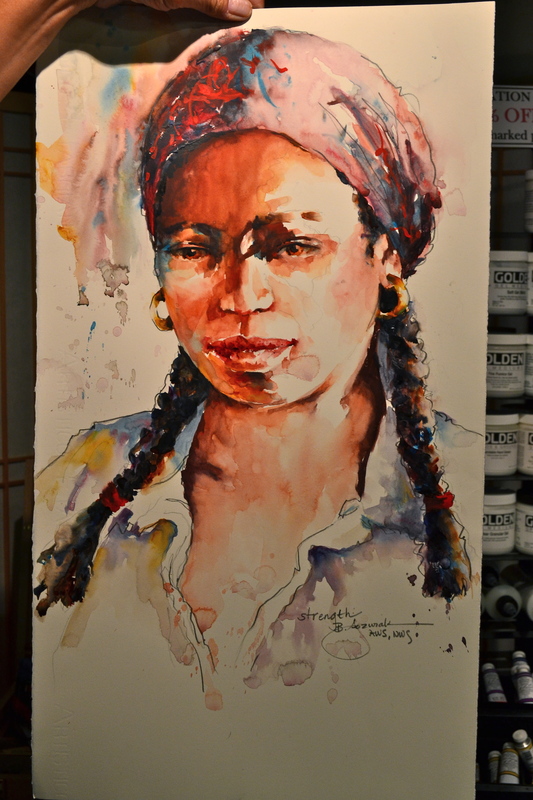 In the afternoon of the 2nd day Bev demonstrated how she paints faces: what colors she mixes to create skin tones varying from dark to light, placement of values, drawing of eyes etc. This is the sketch she started with. See how she drew a value-shape map on the face. 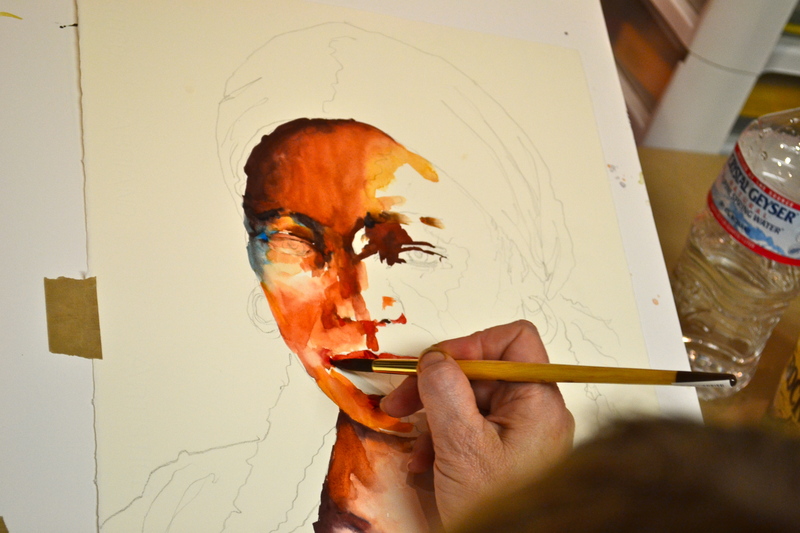 She started by painting the darker side of the face. Contrasts of light and dark areas make the painting much more interesting. Also, building up values creates form. Notice how she made her black (for the hair) “colorful”. In the morning (during the b&w dog demo) she said’ “make your blacks colorful” – fantastic advice. I’ve never thought of it that way. Here the finished painting. 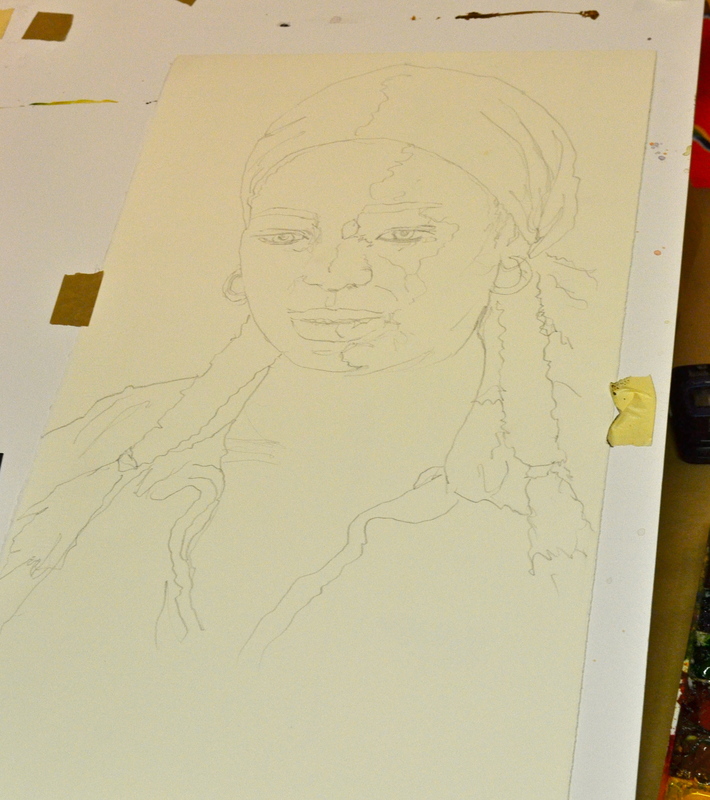 See, how she kept some areas pure white (the white of the paper). Watching her paint I sometimes thought the dark would be too dark or the contrasts too strong but once the whole composition came together and the painting was dry everything turned out to be just right. Lesson: be bold with your colors (especially with watercolor because they fade a bit when dry). For the darkest areas she uses the paint very thick (almost the consistency of toothpaste), fresh out of the tube (colors are stronger when they come fresh from the tube) and minimal water and then moves on to the lighter areas. 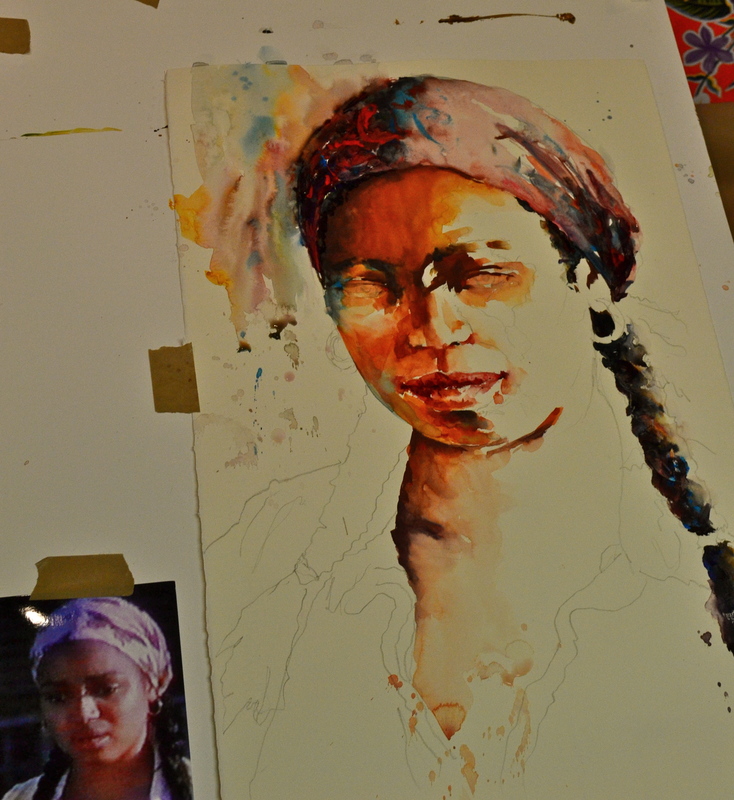 It’s quite unusual in watercolor painting to move from dark to light but she does it and it works fine. Hello, I just have to say many thanks!. I feel very lucky to find this post that you kindly shared from the Bev Jozwiak workshop. I´m in love of her work and at the moment I don´t have the possibility to be in a live workshop (I´m in DR). I´ve been looking for any where in the web some workshop of her. Very valuable information, thanks once more!. You’re welcome, I’m glad you found my side, thanks for visiting.